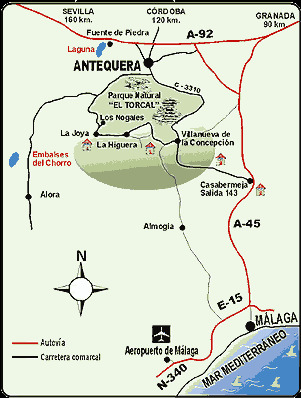 Sketch map showing location of Villanueva De La Concepción. The GPS co-ordinates for Casa Sofia are N36.906933 W4.578852 (36.906933 -4.578852). This information will enable you to find Casa Sofia with Google maps and Google Earth.